Kevin R. Vasquez has held numerous executive-level positions with leading animal health companies over his 35-year career, including chairman, president, and CEO of Henry Schein Animal Health, executive vice president and CEO of Butler Animal Health, vice president of cattle and companion animal business of Boehringer Ingelheim Vetmedica, and excecutive vice president of Fermenta Animal Health. 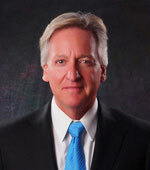 Vasquez is the recipient of the Ernst & Young’s Entrepreneur of the Year Award for Ohio and Kentucky, the Association of Corporate Growth Award of Ohio, the Western Carolina University professional Achievement Award, and the Henry Schein Animal Health Outstanding Executive and Lifetime Achievement Awards. He is also an honorary member of Beta Gamma Sigma, the international collegiate business honor society recognizing the best in business. Vasquez holds a bachelor’s degree in marketing from Western Carolina University and a master’s in business administration from Central Michigan University.